Valentines Day is over, Groundhog saw its shadow and Family Day is fast upon us…. It is nice to have a long weekend in February. We even had a couple days of really nice weather and the snow was starting to melt and then this morning, the wind outside sounds like we live in the Arctic … but as far as real estate goes, the market has shifted and the listings are coming out fast and furious .. Spring Market?? Yes, it appears so. If you were thinking of selling your home, don’t wait until April or May, list now – less competition and more money for your home as many homes are selling in multiples right now due to the lack of homes available. 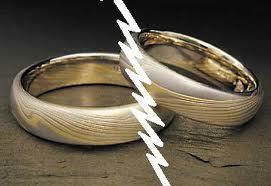 I must say I have noticed recently a lot of calls/appointments lately have been divorce or separations. Should you be in a situation where you are selling under those conditions, it is very important that Realtor works with both of you and puts your interests first. It is hard enough to deal with that sort of stress without worrying about the sale of your home and where you are going to live when it is all said and done. Find a Realtor you trust and let them help ! Thats what we do best !!! We help …..with all your real estate needs. Should you need a home evaluation or simply saw a house and want to know what it is worth, give me a call or email me the address and I would be more than happy to send you the information.